Download your PDF copy of today’s infographic by clicking HERE. Practice is a big part of building grit. In order to work towards goals, we need to get really good at practice. Practicing well is not simply doing the same thing over and over again. When we practice this way, we often miss the opportunities for improvement and instead reinforce small mistakes that become habit. 1. Break down the challenge into smaller pieces. 2. Identify a spot of weakness. 3. Try different strategies to improve that part. 4. Integrate the new learning back into the big picture. 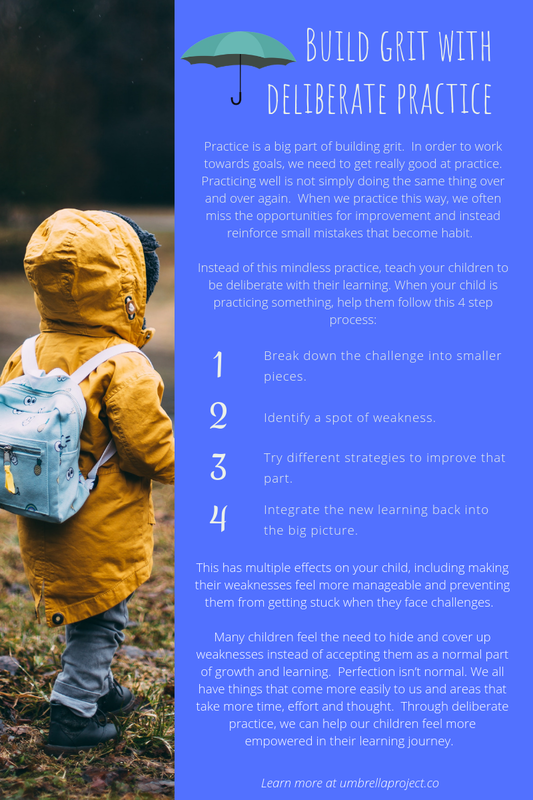 This has multiple effects on your child, including making their weaknesses feel more manageable and preventing them from getting stuck when they face challenges. Many children feel the need to hide and cover up weaknesses instead of accepting them as a normal part of growth and learning. Perfection isn’t normal. We all have things that come more easily to us and areas that take more time, effort and thought. Through deliberate practice, we can help our children feel more empowered in their learning journey. If we want to work hard day after day towards a long-term goal, we need to be organized and demonstrate care about deadlines, timeliness, and the quality of our work. These are the same qualities so central to conscientiousness. 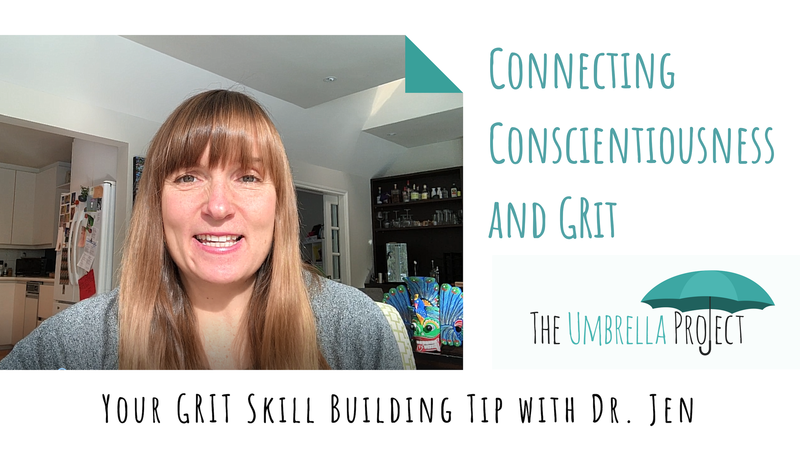 Learn more with Dr. Jen’s grit skill building tip! Watch it below or on our Facebook Group and Youtube Channel. Do you look for opportunities for your child to find a sense of joy in overcoming challenging moments? Today, Dr. Jen shares how this daily practice can help to grow your child’s grit skills. Listen in to learn more! Watch all of Dr. Jen’s video tips on her Youtube channel – CLICK HERE to access it. 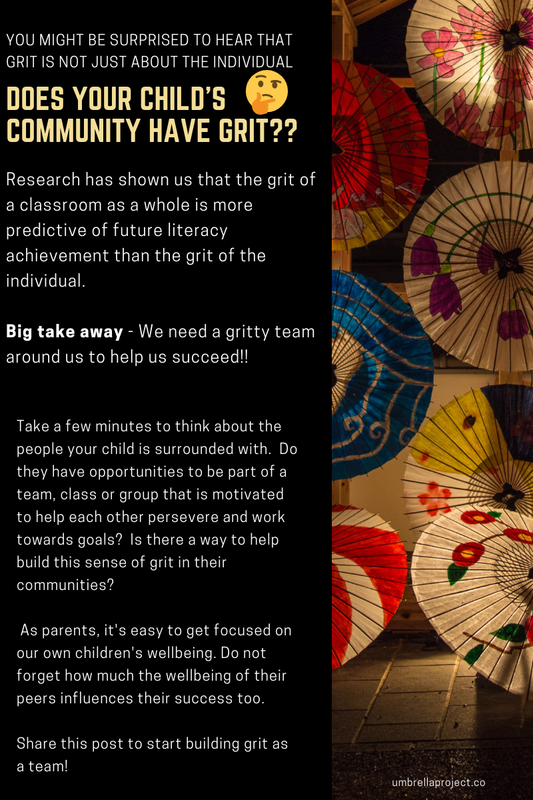 Does your child’s community have grit? Research has shown us that the grit of a classroom as a whole is more predictive of future literacy achievement than the grit of the individual. Big take away – We need a gritty team around us to help us succeed!! Take a few minutes to think about the people your child is surrounded with. Do they have opportunities to be part of a team, class or group that is motivated to help each other persevere and work towards goals? Is there a way to help build this sense of grit in their communities? As parents, it’s easy to get focused on our own children’s wellbeing. Do not forget how much the wellbeing of their peers influences their success too. Share this post to start building grit as a team! Sisu is a Finnish concept describing grit, bravery, resilience, and hardiness. Today’s tip with Dr. Jen will describe how Sisu can help your children practice their level of grit. Watch it below or join our Facebook Group. 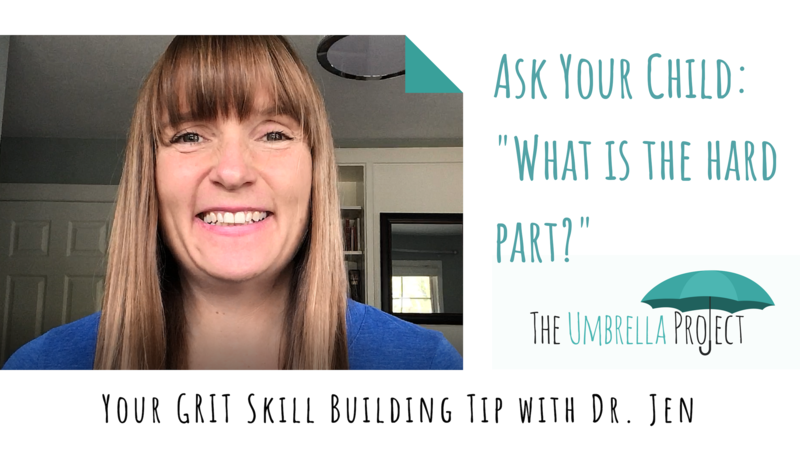 Today’s tip for building grit in your children is a question you can ask them. Try asking your child this question as they are working toward a goal and hit an obstacle. Listen in with Dr. Jen to learn more!